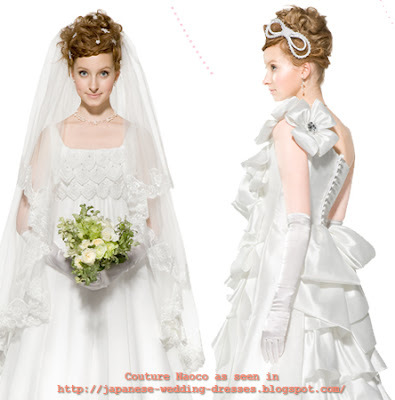 Ginza Couture Naoco's pretty wedding dresses have that certain quality that makes you go "awwww!" If you want gowns that will make you feel like a princess without losing your girlish charm, their dresses are the way to go. The dresses have a sophisticated air but they also have a childlike and innocent appeal through the addition of playful elements like rosettes, rows of big and small bows, ruffles, pleats, cascading ribbons, and more. 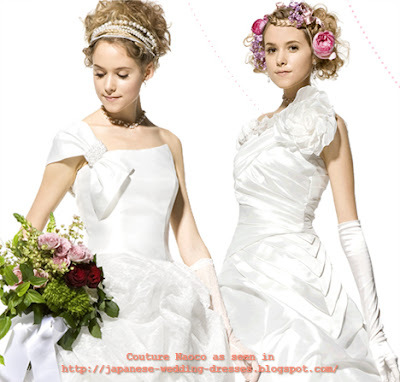 See their selection of sweet, darling wedding dresses below. More of their gorgeous gowns can be found at their website.